Certain applications demand seamless stainless steel tubing for critical functions. 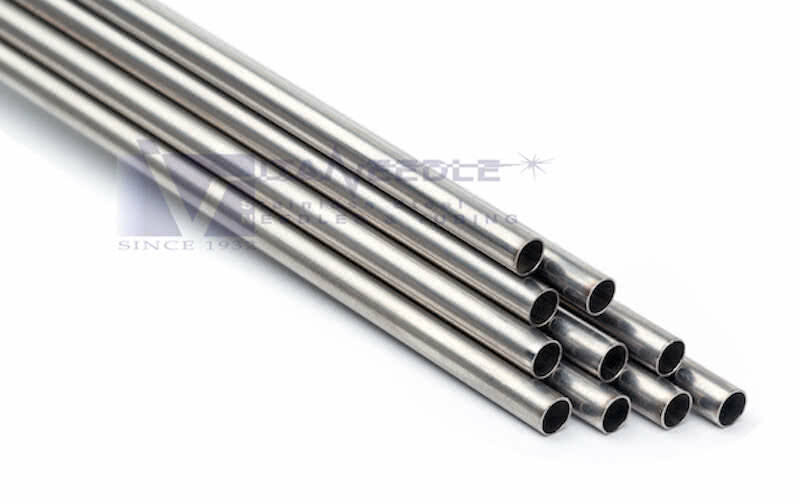 Often, seamless tubing is required for petrochemical, gas or nuclear applications where high pressures and exposure to corrosive environments are the norm, or if the tube's wall is too thick to be rolled and welded. 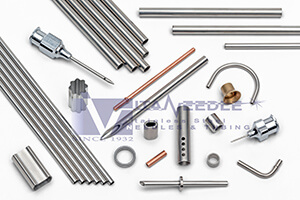 Seamless tubing is manufactured by repeatedly drawing a forged hollow bar through a series of smaller dies. No welding takes place at all during the process, avoiding microscopic changes in the grain structure of the tube. Vita's unique tooling and setup capabilities allow us to produce small runs of stainless small diameter seamless tube in a matter of a few weeks, not several months. We also offer competitive pricing on larger quantity seamless tube if required. Coils, straight lengths or fully finished fabricated parts are all within Vita's capabilities for seamless tubing. The majority of Vita's seamless tubing is custom made, except for standard commercial grade sizes which can be found on our commercial tubing page. Additionally, Vita stocks millions of feet of standard and non standard welded and drawn sizes, if this method is acceptable for your application. 300 series stainless steel tubing, some other alloys on request. .020" OD through 3", wall thicknesses .002" and up. Larger sizes available on request. Up to 25' long, 5' or 10' are standard lengths. Continuous coils also available. We offer custom sizes, tempers, tolerances, alloys & processes! See our Fabricated Parts page. The two images above display the first two major processes in the production of seamless tube. First, a red-hot stainless steel forged hollow rod is formed with a pilger. After the bar has cooled, the tube is cold drawn through a die, and if needed over a plug or mandrel for further sizing. This cold drawing process continues until the tube is at its specified final dimensions.